Looking to add punch to your PC by upgrading to a brand new graphic card? Or are you building a new PC altogether? You can make that possible by transforming or building a nice super powered system,one that churns through the most power hungry and graphically intense gaming titles with ease. In this first of many installation guide series, I'll show you how to properly install a graphic card and other pieces of computing hardware. Graphic cards are pretty easy to insert onto your motherboard, like any other hardware, you must do diligent research before installation and properly install with caution. Problems can arise if you're not careful. Deciding what graphic cards to buy can be a daunting task, you have your choices in AMD or Nvidia, from the budget friendly which falls in the $100 category to the top tier top performing graphic card that can be priced as high as a $1,000. In the end,you want the best graphic you can get for the money. When doing your research for your next graphic card purchase,there are important factors you must consider. You should always make sure you have the proper hardware support with that particular graphic card you plan on buying. There are many issues that can arise when installing a graphic card,one being hardware not being compatible with the motherboard, inadequate out dated drivers and so on. Probably the most common issues I've ran into in the past is the dreaded insufficient power supply. Either there's not enough wattage coming from the power supply, in addition to not having enough PCI-e power connectors available. For an example, the Titan Z Nvidia's top tier graphic card and its most expensive demands 375 W of power, that would mean you'll need a 750 W minimum power supply requirement that has both an 8-pin and 6-pin PCIe power connectors. As you can see there is indeed a greater emphasis on choosing the right power supply, especially if you're upgrading to a multi-graphic card setup( SLI and CrossFireX configuration), more than likely you'll need to purchase a power supply rated for one or more kilowatts. Then there's the PC case, is there enough room inside to fit your newly minted graphic card? Some high-end graphic cards can be as long as 12-inches ( one entire foot), and two to three expansion slots wide. Not sure on the exact measurements of your graphic card you plan on purchasing? Just hit up the product page on the manufacturer's website. There is no real science to installing a graphic card,the entire process is very simple that requires three things. First and foremost, make sure you power down your computer and unplug it from the wall or surge protector, you'll need your new graphic card and a Phillips-head screw driver. Begin by removing the side panel of your computer case, then locate and remove your current graphics card. If you're building a brand new system, then there should be no graphics card present of course. Observe your motherboard and locate the PCIe x16 slot,that's the slot closest to the heat sink of your processor.You should have two or more expansion slots on your motherboard. Its important that you make sure there is no obstruction or loose wires impeding your access to this slot. If you are upgrading and replacing an existing card, simply and carefully unplug any cables that's connected, take the Phillips-head screw driver and screw the retention bracket, once you do that you may begin removing the graphic card. Most modern motherboards today have present and small plastic latch at the end of the PCI-e slot which locks the graphics card in place. Slowly and gently toggle the latch so you can unlock and remove that old graphics card. Once you removed the graphics card, you may begin installing your new graphics card into the open PCIe x16. Slowly and firmly insert the card into the slot, then gently push down on the plastic lock at the end of the PCIe slot and hold it in place. Your next step is to use your left over screwsfrom your old graphics card ( or screws that came with your new graphics card) and screw to secure the graphic card's metal retention to your PC case, this will keep your graphic card firmly in place. 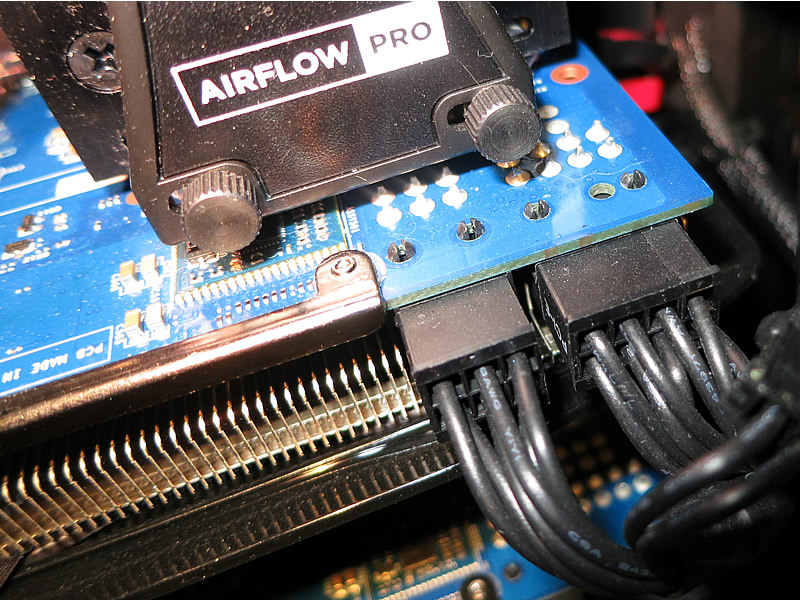 If by chance you purchased a gaming level graphics card its required that you use additional power connectors, remember we mentioned earlier that you'll need a 8-pin and 6-pin PCIe power connector. Improper power connection with PCIe cables can thwart your PC from booting up. Your graphic card should now be secured in place,now you may begin powering up your computer. First before you even think about doing that, slide the cases side panel back on and plug your display cable ( be it HDMI or DVI) into your new graphics card and now you may begin turning on your computer. From here its time you download drivers and software to you brand new graphics card. Head right over the graphics card manufacturers website and download the latest drivers,without these new drivers your images on your display may appear very distorted. The files to these graphics card drivers are quite enormous, almost 300MB or more in size, the whole entire process can be time consuming depending on your Internet speed. Once you installed your drivers,the entire process of installation is complete. Your images on your display should be nice and crispy, now you ready to either view videos or play your video games.